It’s pretty common to see a college advertisement on a billboard, to hear it on your radio or see it pop up on the side of your social media feed. As opportunities for higher education increase and surround us, the life-changing decision of choosing a college can feel overwhelming. Dwayne Bertotto, Vice President of Admissions and Student Experience at Rasmussen College, describes the situation. One effective way to evaluate the best fit for you is speaking with college admissions representatives. They will explain the admissions process, your academic program of interest and available student support services before you make a commitment. 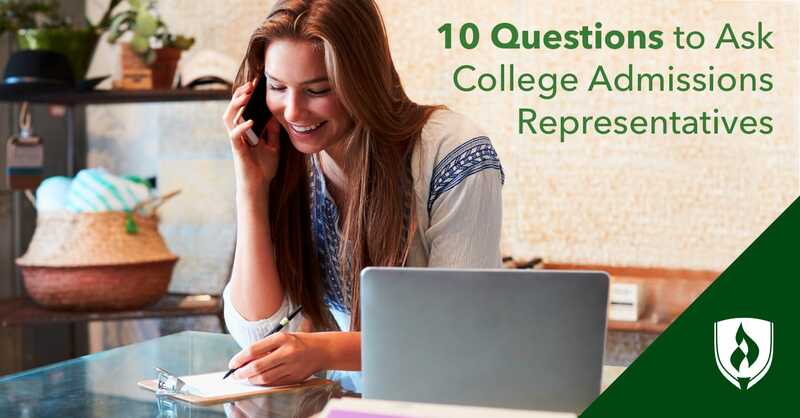 After speaking with experts in the field of college admissions, we compiled 10 questions to include in a conversation with a college admissions representative. Check out the questions below to get your gears turning. 1. How will my classes be taught? 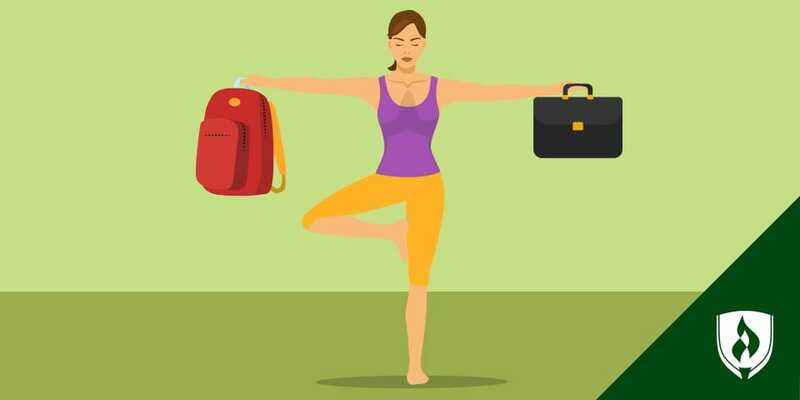 While most of us are accustomed to a classroom full of desks and a teacher at the front, many colleges are branching out in teaching modalities. Bertotto explains the importance of understanding how classes at a college will be taught. Are your classes online? Are they in a classroom of 25 students or in an auditorium of 225 students? Does the format of your class depend on the major? 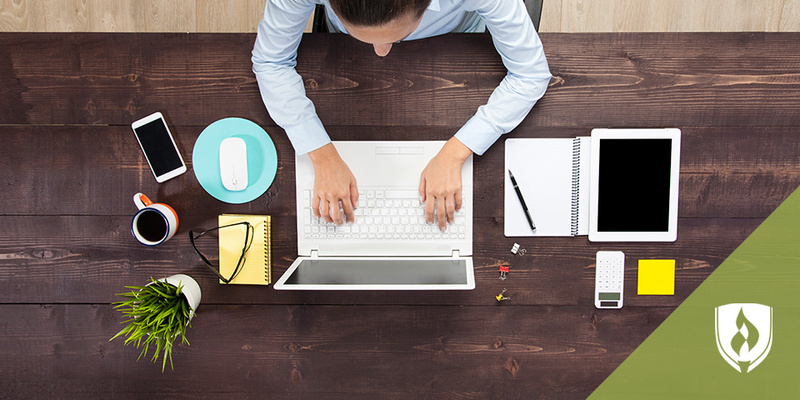 Think about how your learning style aligns with the college’s class setup. 2. How will I be supported? College life is different from other experiences, and students need various levels of support to adjust and succeed in this new environment. Mary Grace Gardner, a college admissions expert at The Young Professionista and former member of the admissions team for UC Berkeley, suggests students inquire about academic support the college provides. Find out the availability of instructors, possibilities for tutors and opportunities to work with academic advisors. 3. What’s the financial situation? As tuition rates continue to climb, this question is crucial in your decision-making process. Bertotto emphasizes understanding the big picture about the cost of college. Ask about all the fees associated with being a student at the school so you aren’t surprised by hidden or unexpected costs after committing. Inquire about meal plans, housing options and opportunities for renting instead of buying textbooks. These are often costs that surprise students. It’s also important to ask about college-specific scholarships or financial aid. 4. What is the college’s accreditation status? Being accredited simply means the education the college provides has been evaluated and meets a certain set of standards. It is also important because schools need to be accredited to be eligible for federal and state financial aid programs. If you attain a degree at a school without accreditation, your credits might not transfer, and you may not be accepted into graduate programs. It may seem like a small detail, but it’s worth your time to check on a school’s accreditation status. 5. How do you help graduates find employment? Understandably, students expect a career after substantial investments of time, money and effort into earning a degree. Crystal Olivarria, a career coach at Career Conversationalist, says there are a few important questions to ask if you’d like to better understand a school’s commitment to helping their students find employment. “How do your students discover employment opportunities, particularly local ones? What kind of guidance is provided in preparing a cover letter and resume? What percentage of students become employed within their career field six months after graduating college?” suggests Olivarria. 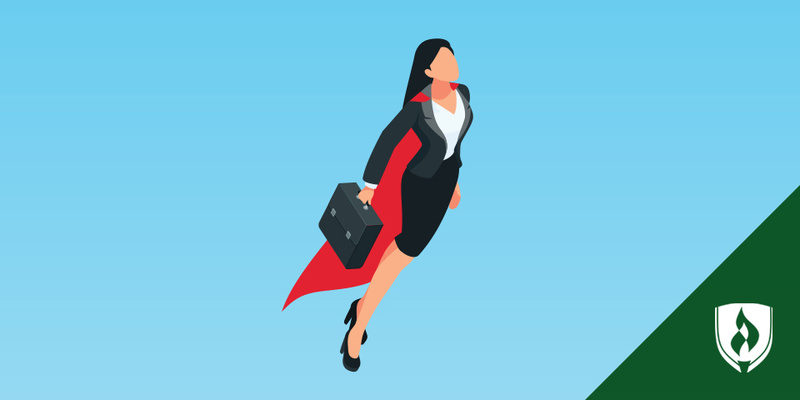 Career services like resume reviews, career fairs and mock interview practice sessions can all provide a boost—seek them out if at all possible. 6. What opportunities exist for this specific program? Erin Goodnow, CEO of Going Ivy, suggests that you go beyond simply inquiring whether or not the college has a certain program. For example, Goodnow says a question like, “What kind of research opportunities are there in your neuroscience program?” shows how you envision yourself in their college community more than simply, “Do you have a neuroscience program?” The questions you ask during your conversation with an admissions representative are also an opportunity to show what you have invested in learning about the college on your own time. You are speaking with someone who has the inside scoop on how the college processes applications, so take this opportunity to discover dos and don’ts for your own application. Brian Stewart, president of BWS Education Consulting, recommends asking what additional information you can provide with your application to help the college get to know you better. This is where you might find out that providing a portfolio or a link to your blog could help you stand out among all the other candidates. 8. Will I feel at home at this school? A college is a college, right? Not so fast. An 18-year-old fresh out of high school with few responsibilities may feel perfectly comfortable at a large state school with thousands of students in a similar situation. That might not be the case for an older student with a job and children to care for. Ask about the typical student—do you feel like you’d fit in? This might not be a deal-breaker for whether you attend or not, but it’s important to know what to expect from your classmates. 9. Who would be the happiest at this college? Though a seemingly wide-open question, this can wield important perspective. Scott White, a college admissions and counseling professional explains this question will give you insight about the school culture, and it is an inquiry that is almost never addressed in admissions literature. White says admissions literature and materials are designed to be middle-of-the-road and generally welcoming to anyone—which obviously makes it hard to judge a school. This question can help break through some of the nice generalized language and provide a candid perspective of the institution as there’s no real right or wrong answer. 10. What kind of activities are available to students? While academic programming is usually the focus of choosing a college, another life-changing aspect of college is pursuing opportunities that align to your interests in extracurricular activities. If you are passionate about sports, ask about the athletic program. If you can’t imagine putting your trumpet into storage after your marching band experience, inquire about the musical opportunities. If you are enthusiastic about politics, find out about student government. Make sure the college offers activities that interest you so that you can find a meaningful outlet for your interests outside of your classes. These organizations and activities don’t have to just be fun diversions—you may also want to look into any groups that offer professional development opportunities, as they can be a nice boost to your resume down the line. Nobody said choosing a college would be easy. Colleges are complex communities with multiple factors to consider when evaluating the best fit for you. With so much to consider, it is easy to miss an important question or simply not even know where to begin when you sit down to meet with an admissions representative. These 10 questions will help you confidently approach any school admissions conversation. Remember, this is all about finding out which college best aligns with your goals for the future. Don’t be afraid to make sure you get the answers. Still need some help narrowing down your college search priorities? This interactive tool will help you identify your top priorities and what to look for in a school: The Smart Shopper’s Guide to Going Back to College: How to Choose the Right School for You.